A new product to finish off the look of the well-dressed dog. 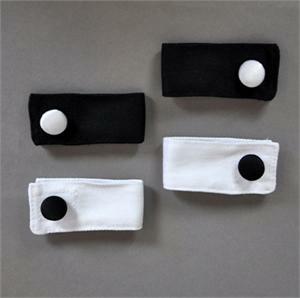 These Paw Cuffs are cotton with decorative buttons in color combinations that will give that well dressed look. Measure around the dog's leg.